David J. Furman is a partner in the New York office of Gibson, Dunn & Crutcher, and Chair of Gibson Dunn’s New York Real Estate Private Equity Practice Group. His practice focuses on real estate capital markets, financings, acquisitions and dispositions, limited partnerships, limited liability companies and joint ventures, debt restructurings, and workouts and leasing. Mr. Furman has been ranked as a top real estate attorney in Chambers USA: America’s Leading Lawyers for Business, The US Legal 500 and The Best Lawyers in America©. Mr. Furman was also chosen as one of the top 3% attorneys in the nation by The Legal News. Mr. Furman served as a panelist for “Buying Distressed Mezzanine Paper: Looking at Secondary Market Purchases, Sales & Mezzanine Liquidity” and a moderator for “TALF, TARP & PPIP Update” at Information Management Network Real Estate Conferences. Mr. Furman is frequently quoted by the press. He was featured in GlobeStreet.com and Real Estate Bisnow for his experience with real estate workouts, as well as in Bloomberg, and Real Estate New York. 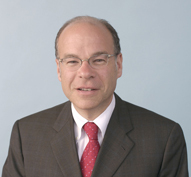 He has previously lectured at the International Council of Shopping Centers Law conferences. Mr. Furman’s real estate clients include, among others, such companies as Investcorp; J.P. Morgan Chase & Co.; MFA Mortgage Investments, Inc.; and Wells Fargo Bank. Last year, Mr. Furman completed in excess of $1 billion in real estate transactions for his clients, including the acquisition and disposition of property located in the New York Metropolitan area, Las Vegas, Southern Florida, and Northern and Southern California. Mr. Furman also has been involved in numerous Islamic finance transactions. He has been at the forefront of developing and implementing, for a number of clients over the past 15 years, real estate products that are compliant with Islamic law, including ijara and murabaha structures. Mr. Furman has been actively involved in representing commercial buyers of real estate debt, including mezzanine loans, B notes, senior loans and CMBS. Mr. Furman is the National Chair of the Cornell Law School Annual Fund and is a member of the Cornell Law School Advisory Council and the Dean’s Special Leadership Committee. Mr. Furman earned his Juris Doctor in 1986 from the Cornell Law School and a joint Bachelor of Arts/Master of Arts degree in 1983 from the University of Pennsylvania.